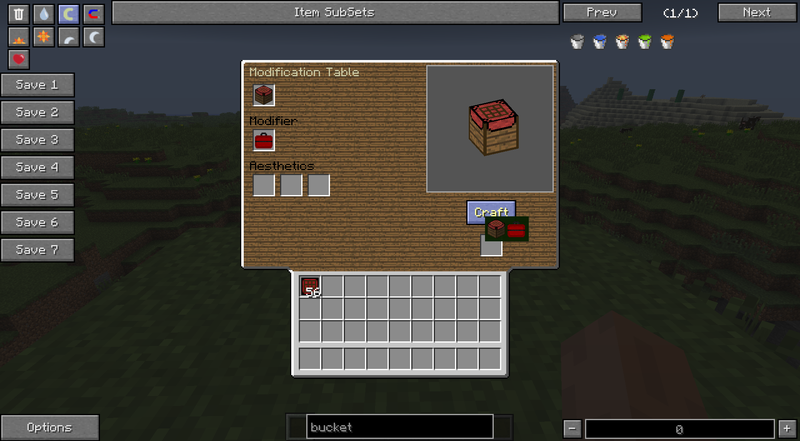 Crafting Suite is a follow up on Project Bench Mod. It brings back the Project Bench, but also expands upon the original idea of it. 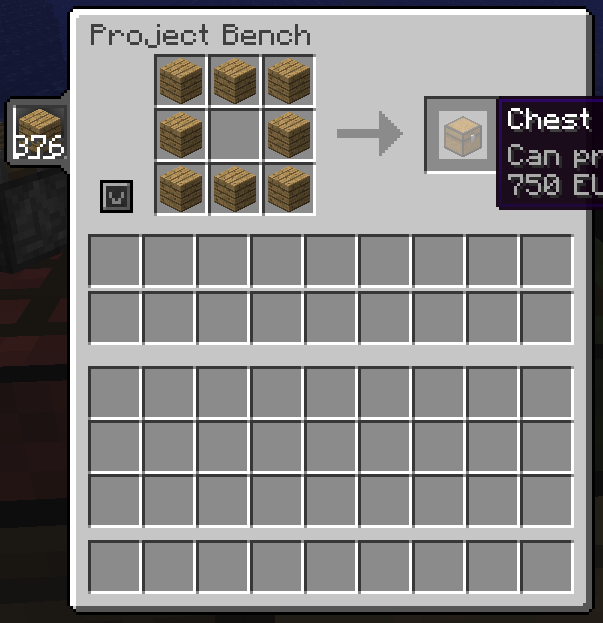 Now the player will be able to have a more personalized experience with the benches in their world, both functionally and aesthetically. 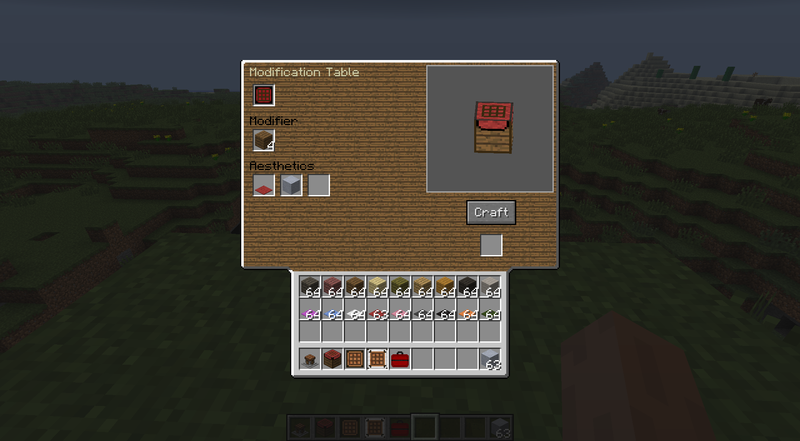 You’ll have access to many things, from crafting benches that will hold onto their inventory rather than drop it, and benches that will have additional storage space that they can craft from. Pretty colors Note that these project benches all have the clay modifier, allowing for the render atop. Also pictured here are the items that I’ll get to later. The Project Bench walks and talks just like the old one, but it thinks quite differently. 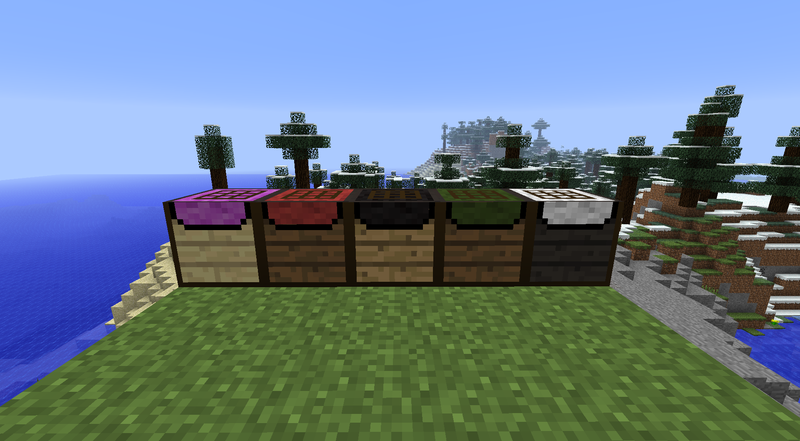 For the unaware, the basic idea is that you place a recipe in the 3×3 crafting matrix and then upon crafting, it tries to pull from the below attached 18 slots rather than the crafting grid itself. Quite useful really.Along with that, there is a visible button to the left of the matrix. 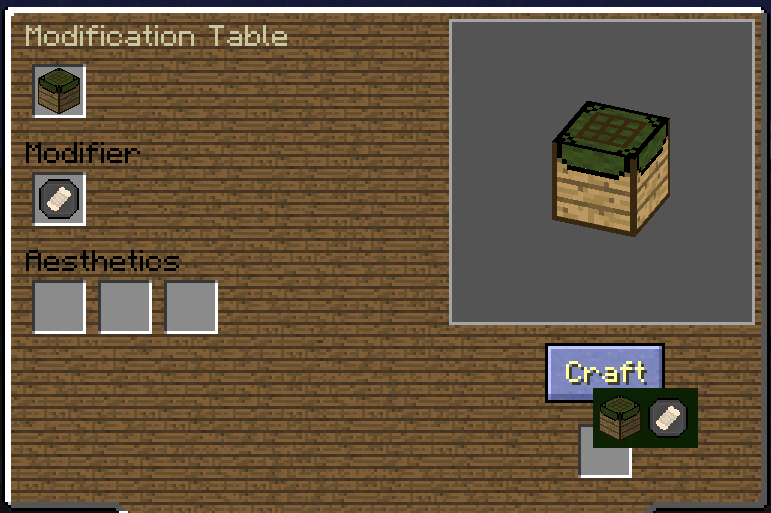 Clicking this button will empty the contents of the crafting matrix into the supply matrix.What’s that icon next to the middle of the matrix? Must be a visual artifact. Definitely not a future plan. 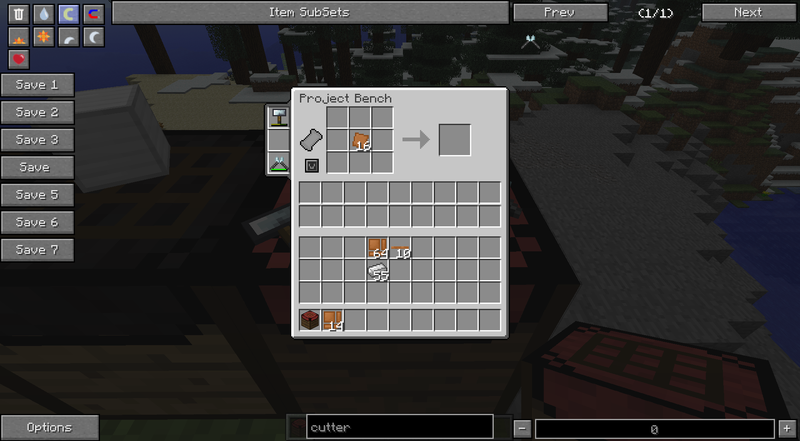 – Hold shift while hovering over a Project Bench (or any bench for that matter) in your inventory to see what modifiers are already on the bench. It will hold in it’s crafting grid, rather than drop them, when the player closes the GUI. Upgrading a Project Bench (only one that has access to this modifier at the time of this writing) with the Plan Modifier will allow the use of plans with the bench. If you’re at all familiar with the old Red Power 2 implementation of plans, it’s basically the same. If not, you’re in for a treat. 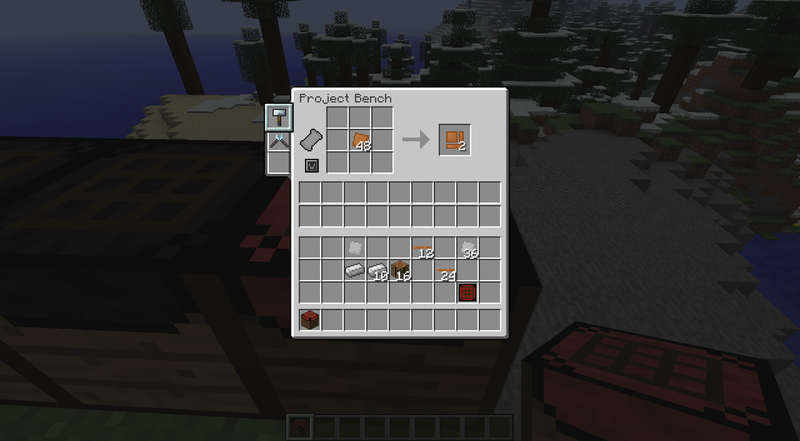 With plans, you can place a recipe in the bench, drop in a blank plan to the plan slot (the one with the fancy background) and then write the plan, with the button to left (looks vaguely like a blank plan). Once written, that plan will always remember the recipe you wrote to it. As you can see above, a piston plan was written to it. 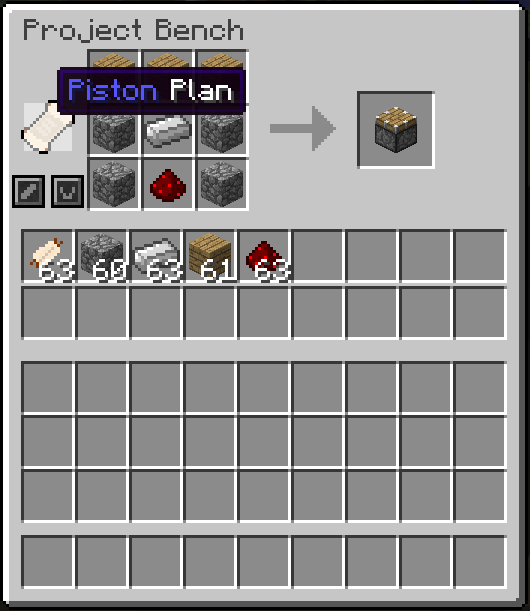 It will now show up as “Piston Plan” rather than Blank Plan. – Plans will attempt to use any type of item from the OreDictionary, if applicable. – See below for the recipes for plans and the modifier. – This supports NEI shift clicking of the question mark, but it has unique behavior. 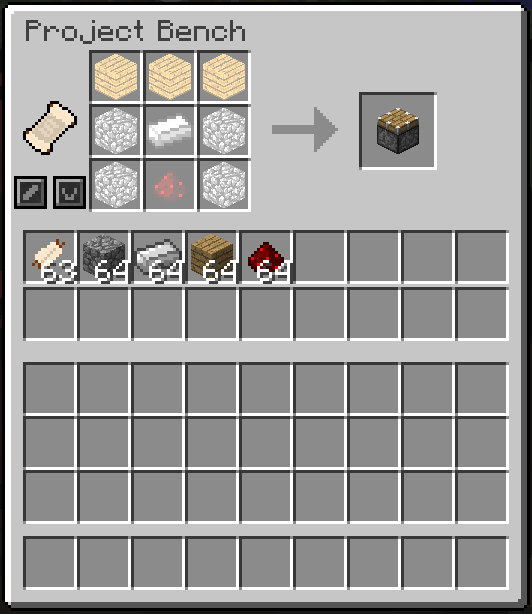 If you have all the materials AND a plan for that item in your, or the bench’s inventory, it will transfer the plan directly into the plan slot and the materials into the supply area rather than into the crafting area. 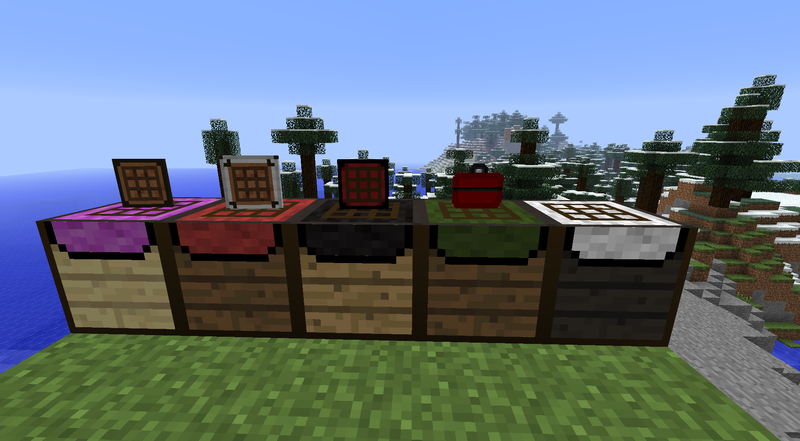 The Deep Slot Modifier installs a special slot to the side of the inventory. 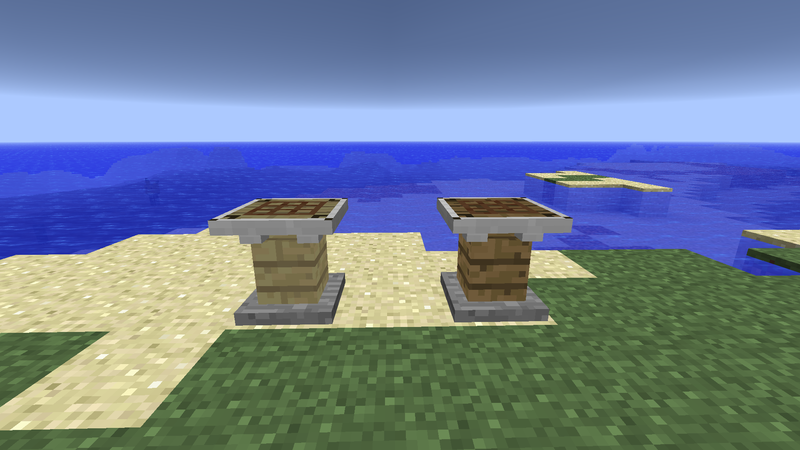 This slot will hold 6x the max stack size of the item placed in it. This means, for your average item it’ll be 384 items. Nice for the bench that needs a seemingly endless supply of one item or another. 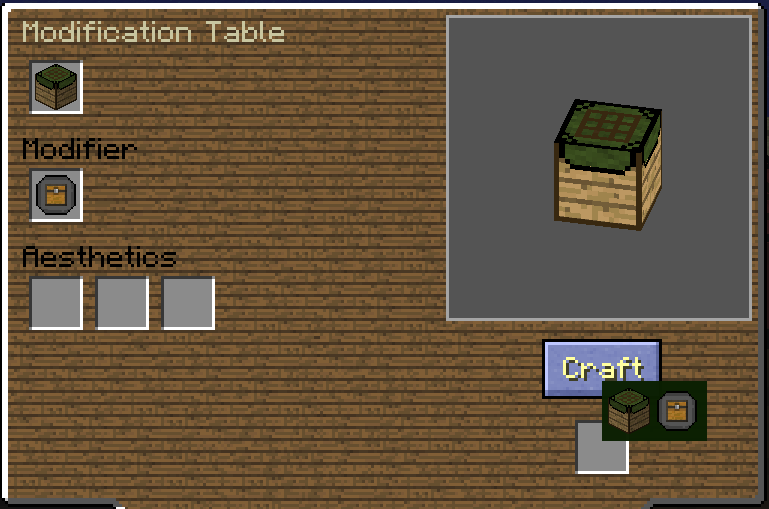 – The crafting area will pull from this slot rather than the crafting grid or the supply matrix (if applicable). 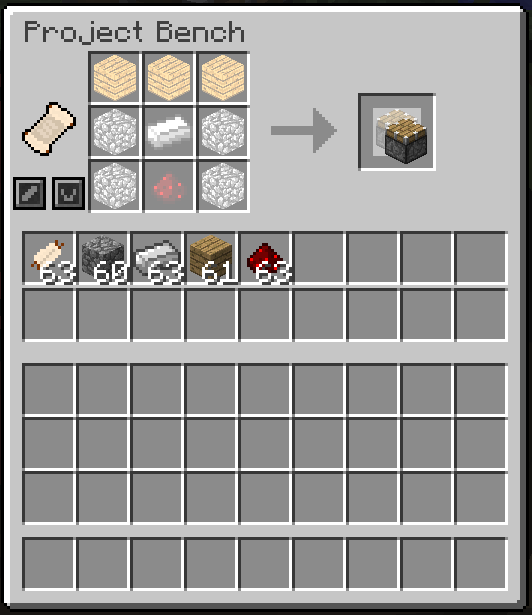 It is the preferred source of items (after excess in the crafting grid). – You can’t shift click out of this slot, just interact with it as normal. – It can be a tiny bit temperamental from time to time. Just give it a good furious clicking if it’s misbehaving. Typically resolves itself. Items can only be placed in these three slots if they appear to be tools, as in the item can take damage. Use right click to place them into the slot. Once in the slot, the can be accessed quickly to be added to the matrix (remember, RIGHT CLICK to access the item). Left clicking on the item once in the slot will activate that item. 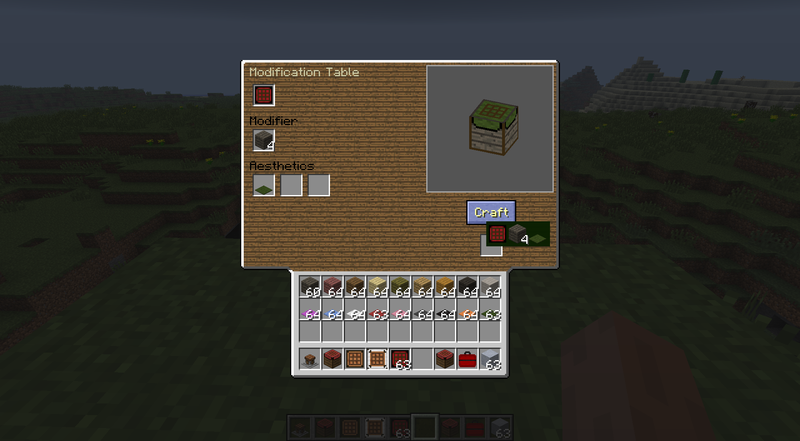 Once activated, the item will be automatically added to the crafting matrix (it’s rendered in the matrix but you cannot interact with it there). 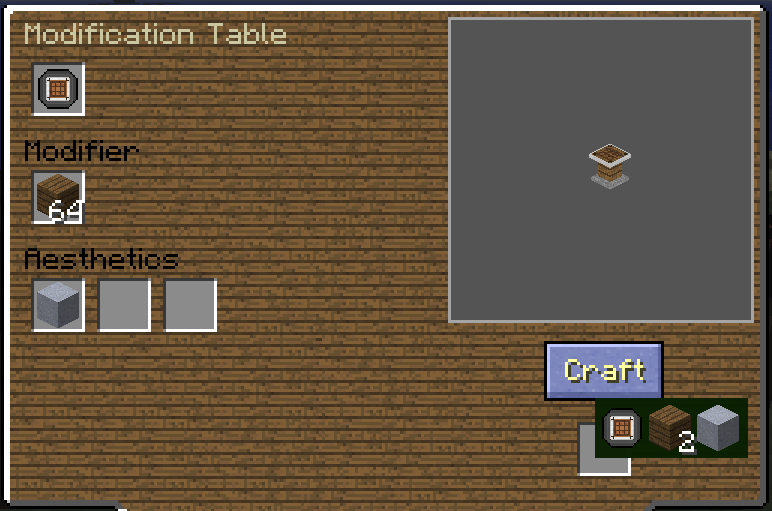 As a consequence, if there is a tool selected but you place the items for a crafting bench in, it won’t work because the tool is considered to be within the matrix. 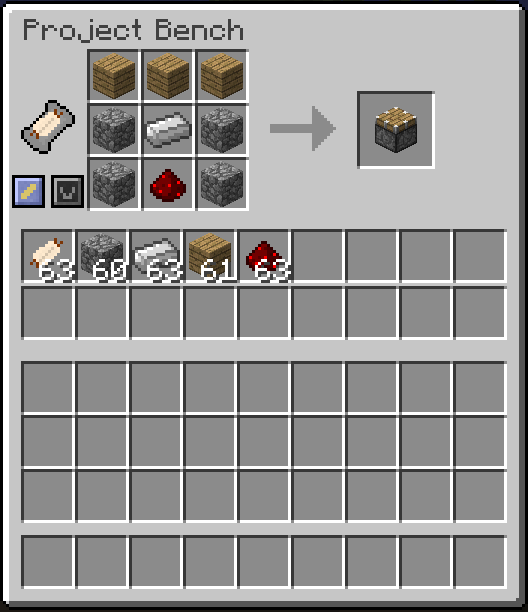 Simply left click again to deselect the tool.An example, all you have to do is put, say the Copper Plate (IC2) in the matrix, and click the Hammer (IC2 again) and it will automatically add the Hammer and the appropriate crafting recipe will be displayed.